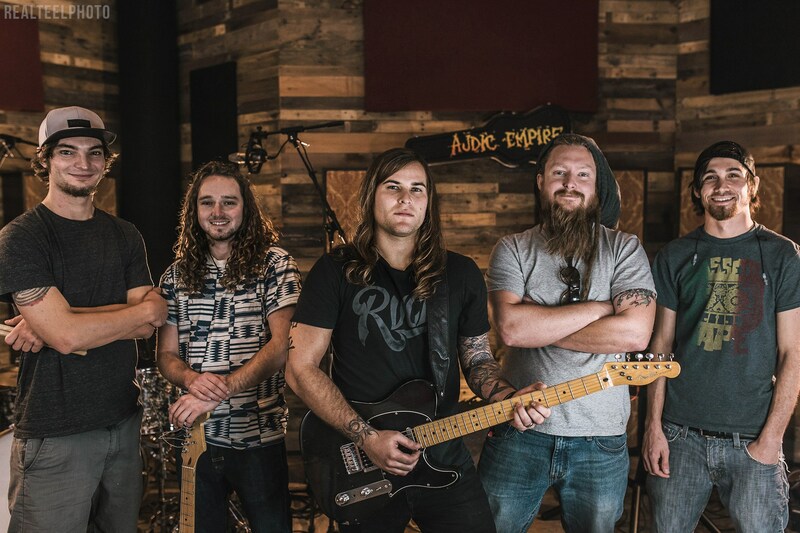 Austin, TX based Alternative Rock/Reggae Band AUDIC EMPIRE has released the official music video for their single “Turmoil,” the second single from the their upcoming LP, Indica Nights. Written by Ronnie Bowen and produced by James Wisner (Silverback Records), “Turmoil” dropped September 10th. Audic Empire has been turning heads in the Austin, TX music scene with their psychedelic, reggae/rock and feel good tunes. They have a high intensity performance and an astonishing sound with the contrast of two singers Ronnie Bowen & James Tobias, their red hot solo guitarist Travis Brown, psychedelic keys from Carver Ripley and rock solid rhythm section Jess Leonard. Audic Empire has played with numerous great artists and festivals. Audic’s first album Sativa Sunrise was released in 2015. They have 6 singles that have been released over the past 4 years, which are available on all online platforms. Currently the band has finished and about to release their 2nd full length album Indica Nights with producers James Wisner and Miles Brown. With the rapid growth of their reggae/rock sound, Audic Empire is on the rise with their journey to produce a unifying sound wave of love and music. Next Army of the Universe Release 10th Anniversary Remake EP for “RESIN”!